Brian Krzanich was most recently CEO of software company Intel, from May 2013 until June this year. Dealership software giant CDK Global Inc. has hired former Intel boss Brian Krzanich to take over as CEO, the company said Wednesday. Krzanich replaces Brian MacDonald, CDK's CEO since 2016. The move is effective immediately. In addition to the CEO post, Krzanich, 58, will serve as president of the dealer software giant and take a seat on the company's board. The company said MacDonald will assist in the transition. Krzanich was most recently CEO of software company Intel, from May 2013 until June this year, having worked at the company in several roles since 1982. Intel ousted Krzanich in June after determining he had violated company policy by having an inappropriate relationship. CFO Robert Swan was made interim CEO, and the Intel board continues to search for a permanent replacement. Krzanich held positions as senior vice president and general manager of manufacturing and supply chain from 2010 to 2012. Later, as executive vice president and COO, he was responsible for Intel's global manufacturing, supply chain, human resources and information technology. "In evaluating the future of CDK, the board and Brian MacDonald concluded that this is the right time to bring in a proven technology CEO to drive top-line growth and help CDK take full advantage of its many opportunities," Leslie Brun, CDK board chairman, said in a statement. MacDonald was CDK's CEO for nearly three years. He was the former president and CEO of Sunoco Inc. and ETP Holdco Corp. and also held positions at General Motors, Isuzu Motors, Ally Financial Inc. and Dell. Shares in CDK Global fell 7.6 percent to close the day at $52.95. 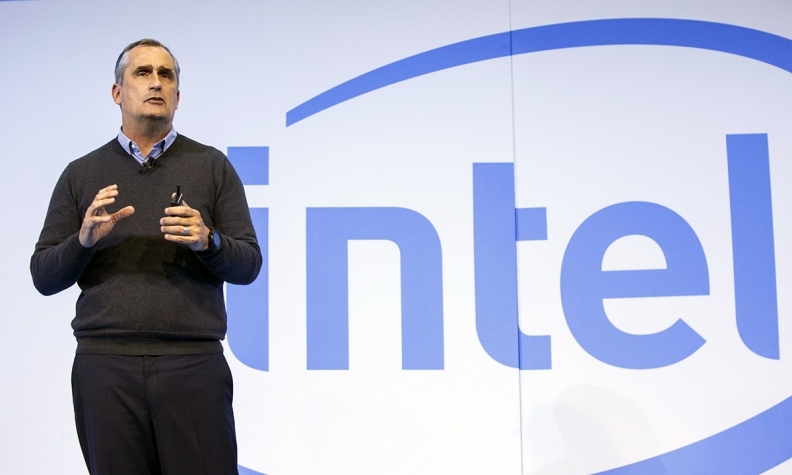 During a conference call on Wednesday, Krzanich reflected on his software background at Intel. “I see many parallels in what I saw then and what is taking place in the automotive industry today," Krzanich said "CDK is in a strong position to lead the auto industry’s technological transformation." He added that he looks forward to meeting with employees, customers and investors in the coming quarter. On the call, MacDonald, 52, expressed pride in the CDK team's accomplishments during his three years as CEO. The CEO change was announced Wednesday as the software company posted net income of $90.3 million and revenue of $554.5 million for its 2019 first fiscal quarter, which ended Sept. 30. CDK's retail North American revenues were $410.1 million. Those numbers were generated using the ASC 606 reporting standard issued by the boards that govern accounting standards. Public companies are moving to the new standard, which reflects revised revenue recognition rules. While CDK said it is not restating prior-year results for comparative purposes, it did provide current-year results under the old standard so comparisons could be made. Using the old standard, CDK reported net income of $92.1 million in the fiscal first quarter, up 13 percent. The core auto software business in North America grew 3 percent year-over-year to revenue of $413.2 million, while total company revenue was flat at $565.9 million. On the earnings call, MacDonald attributed that to headwinds in advertising. Advertising revenues in North America decreased 17 percent to $65.9 million during the quarter. CDK Global, with more than $2 billion in annual revenue, is a global provider of information technology and digital marketing products to the automotive retail and other industries.